In this world of 3d printing, we often forget that there still more than 34% of industries and companies who are using 2d drafting services as their primary source of drawing and designing. As this is the base for all the high tech design mechanism and we can not ignore this principle technology. 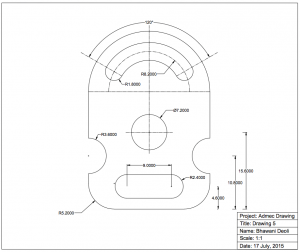 The 2d cad drafting services are more robust than you think. Here are the top advantages of 2d drafting which we can not live without. For learning any advance designing technology, 2d drafting is the base, there is a reason behind it. It’s obvious that no one can just hands-on 3d printing without knowing the core design rules and principles. Without knowing the base technical knowledge, everything is very far. Here comes the usability of 2d drafting. When a beginner starts learning to design by 2d drafting, he learns about the plotting, sharpening and much more to add a professional finishing of the final draft. In numerous cad design software, you are certainly limited by its usability and scope. But, in 2d drafting, you are free to craft your imagination and idea without any kind of restriction. This is the primary reason why industry chooses 2d drafting as their first step towards designing their product. It’s the most flexible design practice than any. You can customize any part of the design without waiting for the final product. In automated designing, you have to wait until the draft is compiled, processed and then displayed. Here, you can personalize anything on the go. 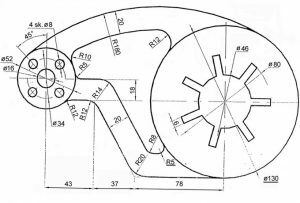 You can also hire a cad engineer on contract for drafting your idea into reality with greater flexibility. This technique is very cost effective as compared to any technology of this segment. You don’t need any kind of expensive instruments to get started with this. If you are a student or a beginner, you can start doing 2d drafting on the go without waiting for any other supportive technology. If you live in Sydney and looking for drafting contractors, then there are so many cad services Sydney companies are there from which you can get your design ready at a very reasonable cost. So, hold yourself back to try this method to craft your first design. If you are new, you can also take help from online tutorials and master your skills.